If you are a website owner, you would definitely know what are the various aspects of maintaining a successful website. Right from setting up your website, putting in some content, publishing it and tweaking your website, a whole lot of efforts go into making your website as robust and accessible to everyone as possible. After all, it’s for the people whom you are creating content for and not yourself. As a WordPress site owner, we all know the necessity of plugins on our site. The theme is just like an empty house and the content is like the people, but plugins are what that make the house inhabitable. WordPress, as an application is good and robust out of the box and well optimized for SEO but that doesn’t mean you can’t make it even slicker. That’s where the Jetpack plugin comes in. It’s like your friendly neighborhood store from where you can get all the essential tools and features for your website which is your new home on the internet. Jetpack is like the ‘Amazon’ of WordPress plugins ecosystem – it offers you nearly all the functionalities you will ever need to keep your site running smoothly and efficiently. Right from checking your spelling and grammar to promoting it on social media and protecting your WordPress site from brute force attacks, Jetpack does everything to keep you happy. When you are happy, you can stop worrying about your site and start creating awesome content for the people. Jetpack Personal plan will give you access to all the free features along with daily site backups. All backup archives are stored for 30 days and there’s no limit on size. Moreover, you can make use of the automated site restore feature to restore your website to an earlier working state or use the site migration feature to migrate your website to a new host within just a few clicks. Other features worth noting include spam filtering to keep your site safe from spam and security support to provide you manual assistance in case your site is exposed to new forms of threat or makes use of a custom configuration where automated tools can’t assist you when restoring or migrating your site. Jetpack Premium is a great choice for you if you are a vlogger (video blogger) or you make use of videos in your content strategy. Along with all the features offered by the Personal plan, Jetpack Premium gives you the ability to upload and host videos on your site. And the best part about it? Everything will be served from WordPress.com’s global CDN with no extra hosting or bandwidth costs for you from your hosting provider. 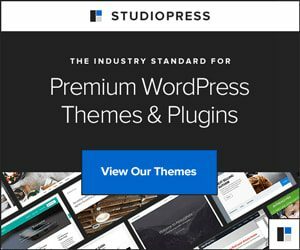 As a Premium plan owner, you are eligible to monetize your content with a unique ad program from WordPress.com along with other awesome features like automated social media promotion, Google Analytics integration, more customization options to SEO, payment buttons and daily malware scanning. Just imagine how much money you can save per year by investing in Jetpack alone instead of spending it elsewhere. With Jetpack, you are with the experts. Jetpack Professional, as the name suggests is not just for the professional people but also for people who really care about their site and can invest in it. This is especially useful if you make a living off the income you make from your blog or website. Jetpack’s Professional plan gives you access to 200+ premium WordPress themes (buying these themes separately can cost you anywhere from around $40 to $150 per theme). Moreover, you can now add some Elasticsearch love to your WordPress site with Jetpack Professional. Jetpack’s Search feature helps deliver faster, more relevant results to your visitors by replacing the default search experience with an Elasticsearch-powered service. It’s proven to scale for millions of queries a day across millions of posts and is trusted by big brands and companies like Time Magazine, CNN, New York Post, FiveThirtyEight, Facebook, People magazine, etc. Real-time backups can also be taken with ease and it offers an unlimited time period for storing the archives, which means you can have a backup of your site from the time you upgrade to Jetpack Professional till the time you decide to downgrade your plan or do away with your website. Moreover, you can perform on-demand malware scanning on your website to make sure it is protected from malware and in case your website’s security has been compromised, it will help you to resolve the threat automatically. This is very important if your livelihood depends on your online business. And in case you need help with setting up your theme, you needn’t hire an external developer. WordPress.com’s Happiness Engineers are always there for you to get things sorted. The simple answer is ‘No, Jetpack does not slow down WordPress’. A wise man once said it’s not the plugin size that matters, it’s the quality of the code. The same applies here too. Jetpack is actually a powerhouse with many WordPress plugin functionalities built into it; if you don’t require a certain feature on your website you can easily disable it. With these extra modules disabled, the code behind these features won’t be running on your site. It’s a simple logic everyone must understand. And with Jetpack providing us website owners with so much of functionalities, we don’t need any extra plugin to add the same features on our website. Essentially Jetpack is helping us cut down on the unwanted code on our website. So, you can remove all your fears about Jetpack slowing down your site. If you don’t believe it, take your site for a spin with Jetpack and test your website’s loading speed using website speed testing and analyzing tools like GTmetrix or Pingdom. There’s always someone out there to assist you whenever you need help with Jetpack or you just need someone to ask a question. Though the free plan offers you only email support, you can always avail expert support by upgrading to one of the paid plans. These are just some of the features that can be replaced with other plugins or services. I have not covered the entire list because it is outside the scope of this post. To be honest, there is no best alternative to the Jetpack plugin. There is no single plugin available for WordPress which can achieve all the functionalities provided by Jetpack. Thus I hope that you found this WordPress Jetpack plugin review helpful in deciding whether or not to install it on your WordPress site. I bet you’re convinced now to take it out for a joyride. Hey Connie, I’m glad to hear that you’re happily flying with Jetpack! If you don’t mind, can you share with us your favorite Jetpack modules, which you use on your site so that other bloggers who stumble upon this page may understand what’s all the fuss with Jetpack and why we love it. Hey Roseann, glad to hear that you’ve already grabbed a Jetpack and that it’s doing amazing things on your blog. What are your favorite Jetpack modules though?